We love recipes with cheese and a tomato sauce, like pizza, pasta. 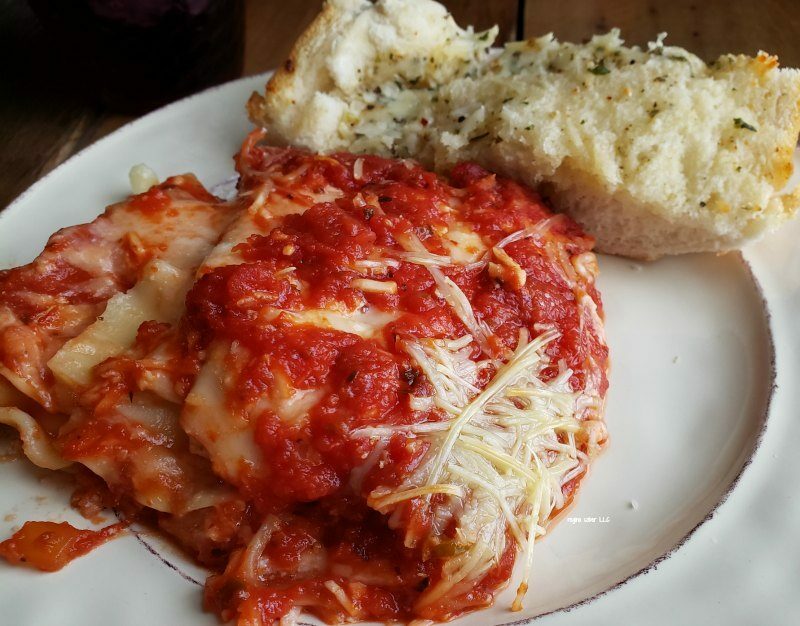 I love lasagna and have made it a few different ways. Because I was busy and honestly forgot the noodles boiling on the stove, I made a meatless cheese lasagna. And the family loved it! The only thing that would make this better is more cheese (said my daughter). 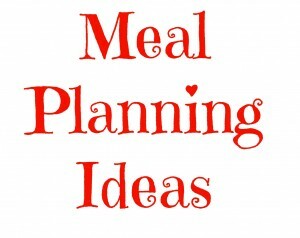 This is easy to prep ahead and have ready to put in the oven. If you do this option, do not preheat the oven, place the dish in the oven and then turn on the heat, so the both warm up together. 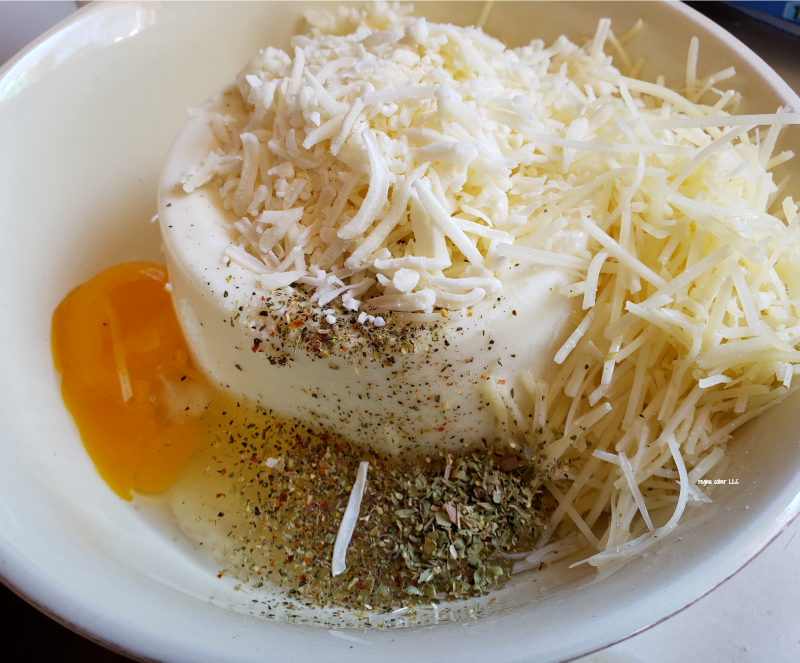 In a bowl, mix the ricotta, Parmesan cheese, egg, oregano, parsley and Italian seasoning. 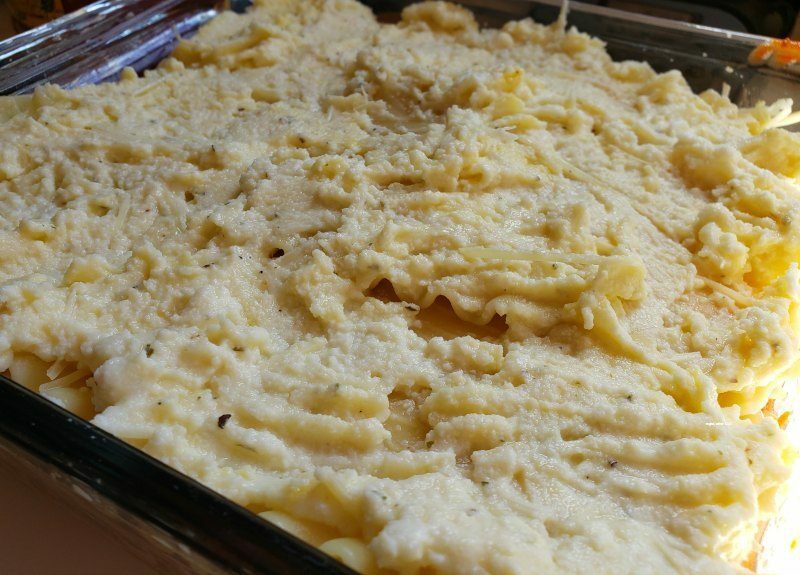 In an 8×8 baking pan. place a layer of noodles down. Add a layer of the ricotta mixture on top of the noodles. Add another layer of noodles. To this, add 1/2 jar pasta sauce. Add a layer of mozzarella (this took the entire bag for us). Add another layer of noodles and ricotta cheese mix. Lay the final layer of noodles on the lasagna.Sprinkle the Italian cheese on top. Pour the remaining sauce over the cheese and sprinkle a little Parmesan cheese on top. Bake for about an hour until. 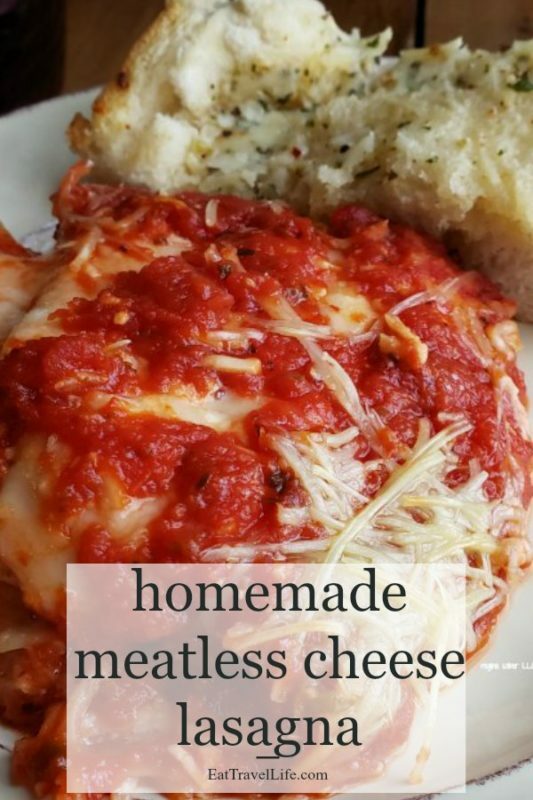 Serve with your favorite garlic bread and enjoy.